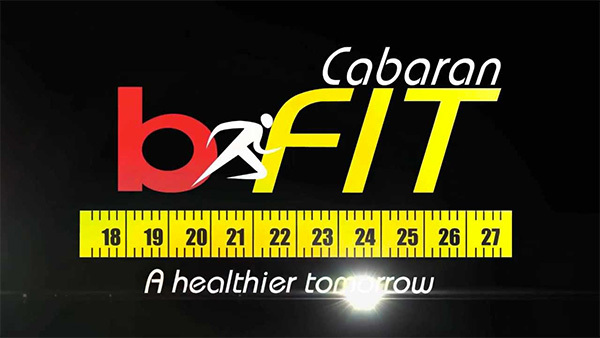 I remember the days of B.Fit organized by b•mobile (defunct) and Fitness Zone back in 2012. Whoaa. That’s like 7 years ago. 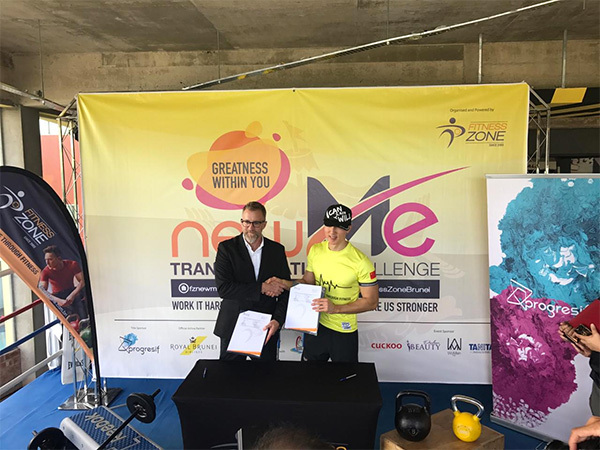 Now there is a different and better version known as the “Fitness Zone New Me Transformation Challenge 2019”, an initiative by Fitness Zone Managing Director, Wu Chun. 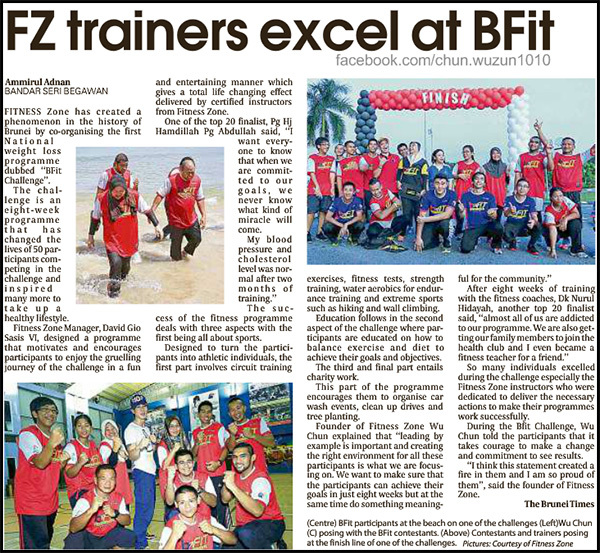 FZ is always looking ways to create and faster an environment that will make Bruneians fitter and healthier by changing their habits and lifestyle. Wu Chun has seen how social media has been distracting many of us in our daily habits. “Internet and social media seems to get out of control and that what makes people get lazy sometimes. Spending 30 minutes on just scrolling down on our feeds, we could use it more productively by working out, “ said Wu Chun. Doing exercise is a good initiative and it could be a life decision benefit and also allow one to be prioritize his or her life on what is more important that could reap you in a long run. 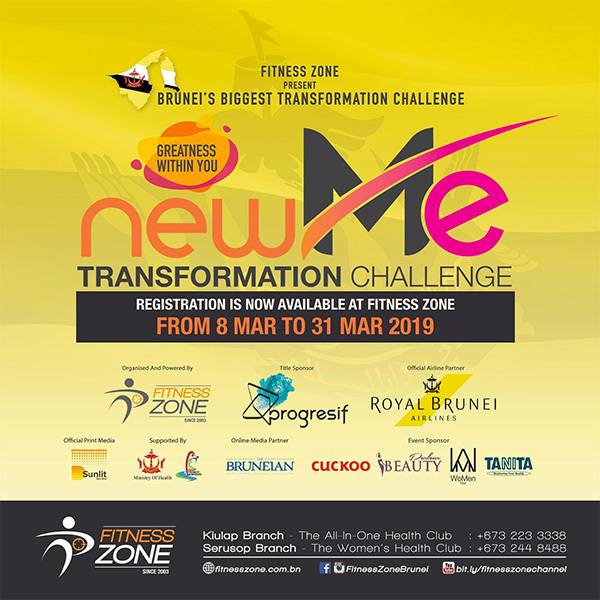 This time, Fitness Zone, has engaged Progresif as the Title Sponsor for the “Fitness Zone New Me Transformation Challenge 2019”. 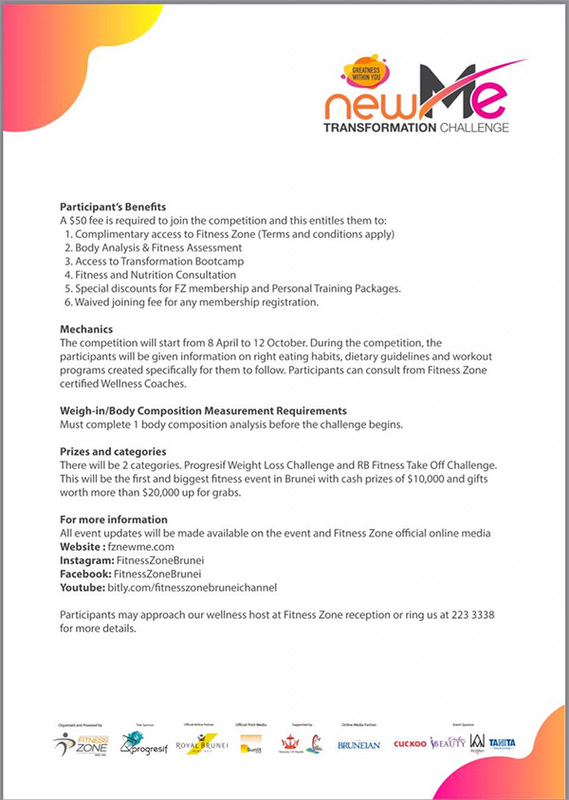 The transformation challenge is set to fun from April to October 2019, limiting to 300 participants for each category. Each month, an elimination process will be undertaken after the Weigh-In session. There will be a $50 fee to join this competition and do see the poster to see what is inclusive in the $50 registration fee. The old bFit competition back in 2012. The winner was Azim and now he is a successful spinning instructor. The good old days when bFit was very popular. Devin Edwards, Progresif’s Chief Marketing Officer, 3rd from left, with students from Sultan Omar Ali Saifuddien College, Meragang Sixth Form, Rimba Secondary School, Raja Isteri Girls High School, Paduka Seri Begawan Sultan Science College and Pengiran Anak Puteri Hajah Masna Secondary School. Also in the photo were representatives from Brunei Film Blitz. 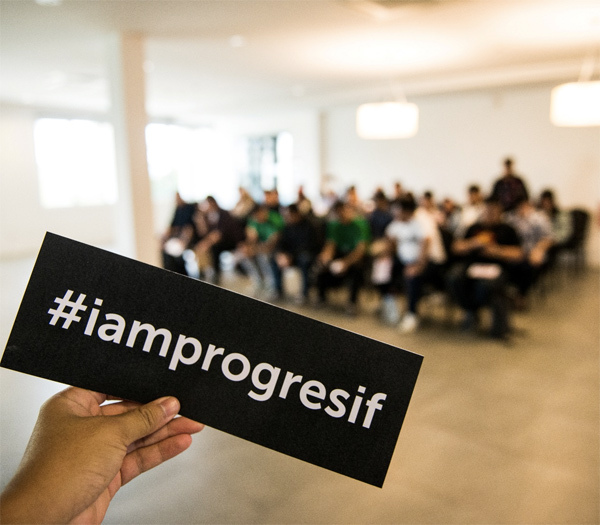 Progresif is paving the way for the development of future filmmakers and producers in its latest Corporate Social Responsibility (CSR) initiative for Brunei’s creative industry. 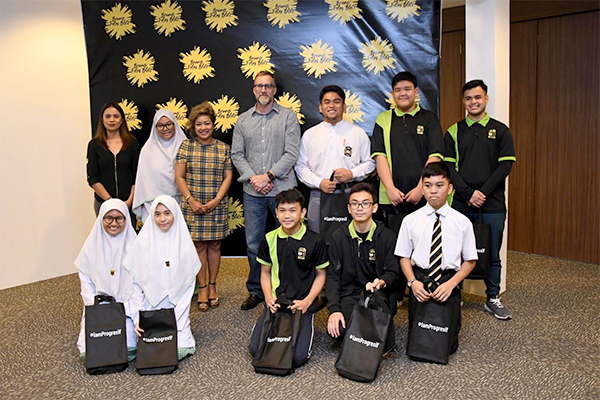 The company announced that they are sponsoring 15 students from six schools for their entry into the Brunei Film Blitz 2018 (BFB), giving them the opportunity to expand on their talents and passion for film. Abd Mateen Yakof, Wan Wafiy Hasif Hj Wan Joffry, Md Adam Aiman Hj Mohd Firman, Md Ilyas Abdullah @ Ilyas De Lara Bautista, Md Rosmuliamin Mustapa, Md Haziq Hafizzudin Shahron, Mohd Danial Basyri Zamain, Md Azizul Halif Hj Bagul, Lim Hui Ying, Muhammad Adam, Dk Syarifah Afiqah binti Pg Hj Shamsir, Dk Aida Nabilah binti Pg Haji Dahlan, Nabilah Munazah binti Raup, Abdul Hazim bin Mastadi and Rauufah will all have full access to film workshops and screenings during the BFB 2018. The nominated students are currently studying at Sultan Omar Ali Saifuddien College, Meragang Sixth Form, Rimba Secondary School, Raja Isteri Girls High School, Paduka Seri Begawan Sultan Science College and Pengiran Anak Puteri Hajah Masna Secondary School. 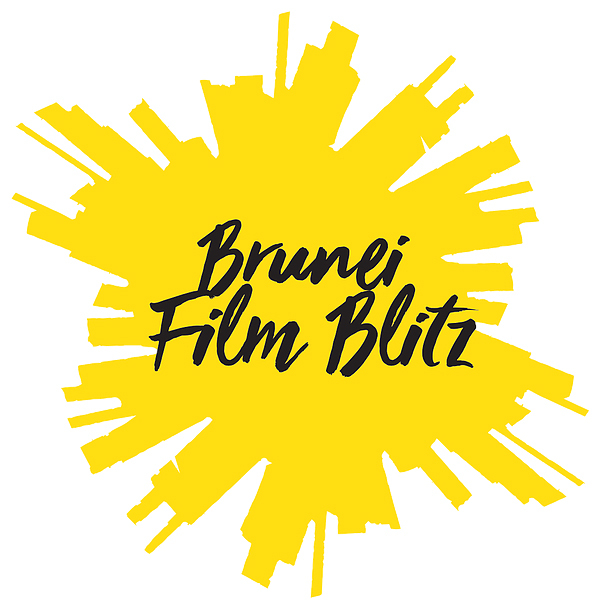 This is also the second consecutive year that Progresif has supported the Brunei Film Blitz as part of ongoing efforts support and nurture the growth of Brunei’s creative industry. “This is our second year of supporting the Film Blitz and we’re proud to be able to play a role in nurturing the abilities of young filmmakers, so they are inspired to pursue their passion and turn their talents into viable careers or businesses,” he said. 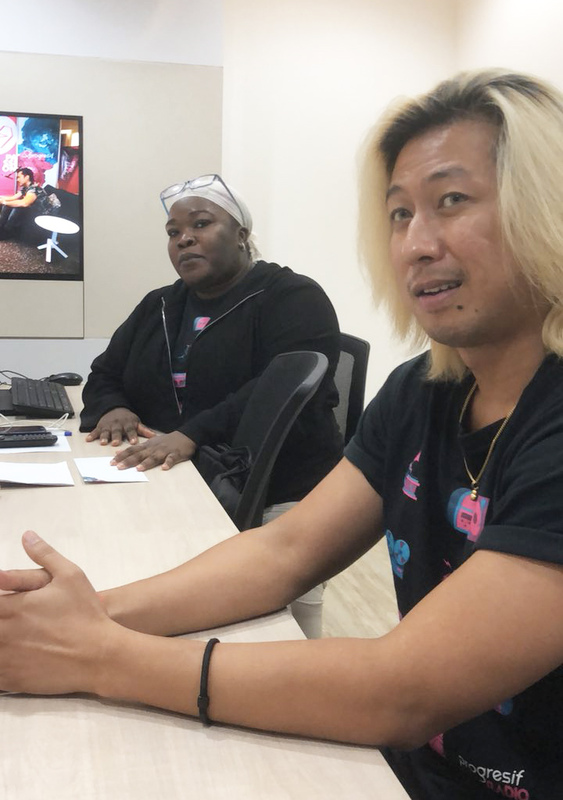 The BFB aims to push the abilities of local filmmakers to international standards through a series of workshops, screenings and a competition to produce a short film in 96 hours. The winner of this competition will receive a full scholarship for a two-year Diploma in Screen and Media, also sponsored by Progresif. Winners will be announced on December 24 during the Gala Awards Night. 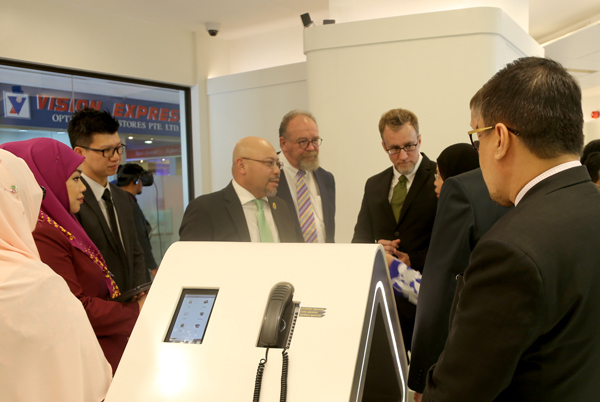 Yang Berhormat Abdul Mutalib bin Pehin Orang Kaya Seri Setia Dato Paduka Haji Mohd Yusof, Minister of Communications, launched Progresif Pay last week at Rizqun International Hotel. Progressive Pay is brought to you by Progresif and powered by BIBD NEXGEN. Other countries have implemented it. I know China is known for their WeChat. Today, it is made possible by Progresif powered by BIBD NEXGEN known as Progresif Pay. It is definitely a stepping stone in terms of cashless payments in Brunei Darussalam. 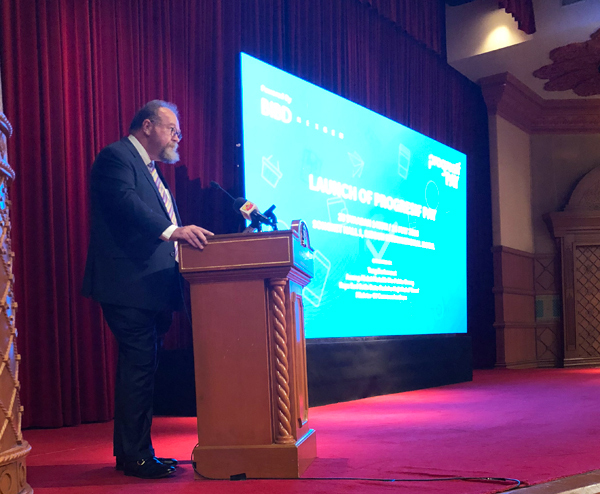 It was launched by Minister of Communications Yang Berhormat Abdul Mutalib bin Pehin Orang Kaya Seri Setia Dato Paduka Haji Mohd Yusof who applauded both Progresif and BIBD for the collaboration in pursuing to be a smart nation in this era of digital economy. 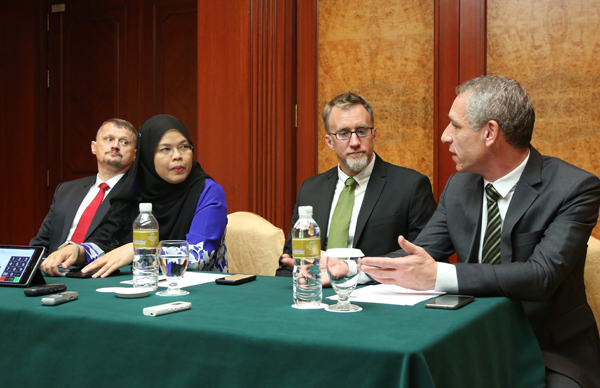 The minister shared that Brunei Darussalam is ranked 53rd in the world in the ICT development index. 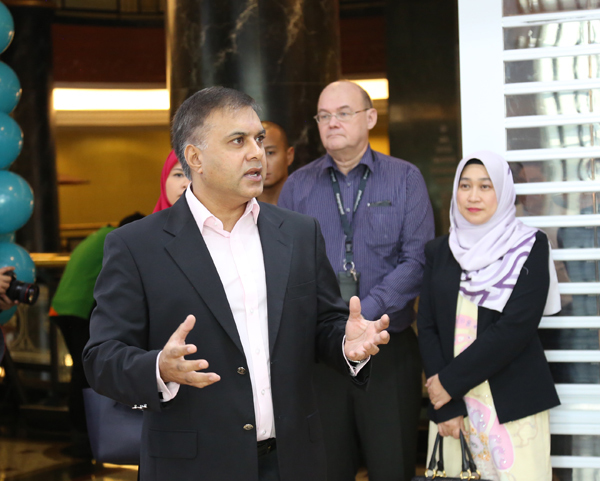 Also accompany the Minister were Mubashar Khokhar, Managing Director and CEO of BIBD and Paul Taylor, Chief Executive Officer of Progresif who both had inspiring quotes from Henry Ford and Michael Jordan respectively. Mubashar re-quoted, “Coming together is the beginning. Keeping together is progress. Working together is success” while Paul mentioned, “Individuals win games while teamwork wins championships”. 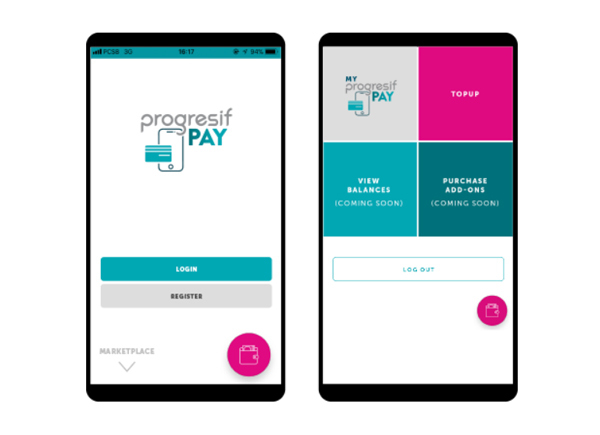 Powered by BIBD NEXGEN, Progresif PAY creates an alliance between Brunei’s most innovative mobile operator and the country’s best digital bank at the forefront of branchless banking and mobile commerce by improving access and creating opportunities for greater commercial efficiency, diversification and development of Brunei’s digital economy. 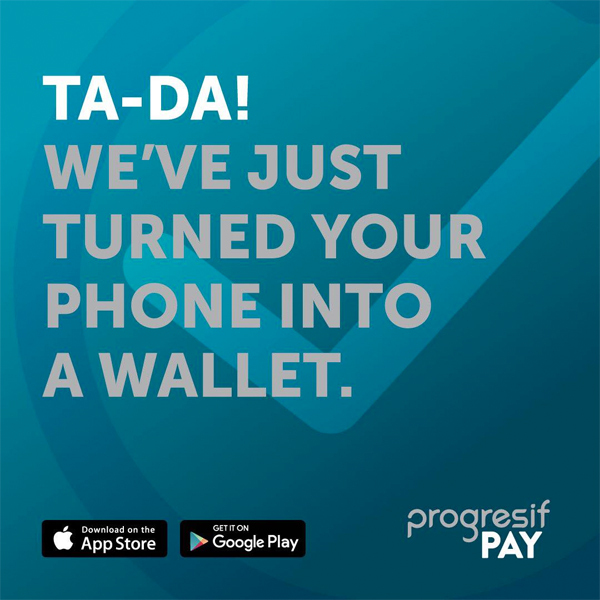 Now what can be useful when you use Progresif Pay? A few things. You don’t need to bring a thick wallet, or even better a wallet. You don’t need a bank account to begin with to. You will still need to be a Progresif subscriber to be eligible for Progresif Pay. Having said all that, first thing’s first – download the app, both available on IOS and Google Play. You will need to pop down to a Progresif Store or BIBD Branch for identity verification and registration. Then you will get your own virtual card (just like a virtual debit card). The maximum value that you can put into the virtual account will be BND 3,000 and the great thing about it is that your Progresif Pay virtual card is not tied to any of your bank accounts or credit cards. In other words, it’s safe and secured. Once you have activated your Progresif Pay, you can pay your bills such as utilities or make donations. You can send money to other Progresif Pay users. You can even use your Progresif Pay to shop online, just like a credit card. Since you are a Progresif user, you can even top up to add data or minutes through Progresif Pay. Awesome!! Marketing strategy will be a key component in helping others to adopt to the newly introduced Progresif Pay, according to Devin Edwards, Chief Marketing Officer of Progresif Pay. He envisioned that their neighbours at the popular Gadong wet market will make use of Progresif Pay among the vendors so it will be totally convenient and cashless. It will be interesting to see the adoption rate of Progresif Pay because once they are many Progresif Pay users, it have a domino effect as users will find it very convenient in making transactions. For more info and FAQ, you can click here to learn more of Progresif Pay. Paul Taylor, CEO of Progresif, mentioned how the Progresif Radio app has around 17,000 downloads since its release a few months ago. A long queue before the start of the audition. Progresif building was definitely buzzing that day. 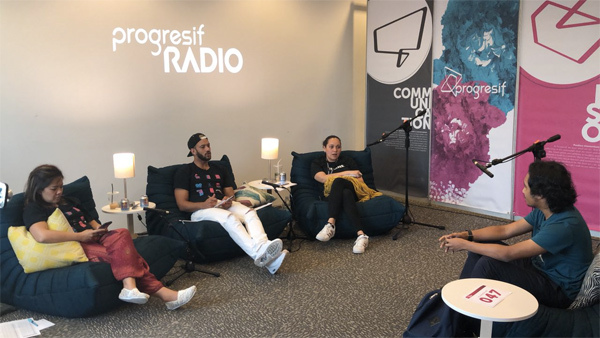 Progresif Radio attracted almost 100 registrants in the second audition two weekends ago. The numbers were close to the first audition held back in August 2017. 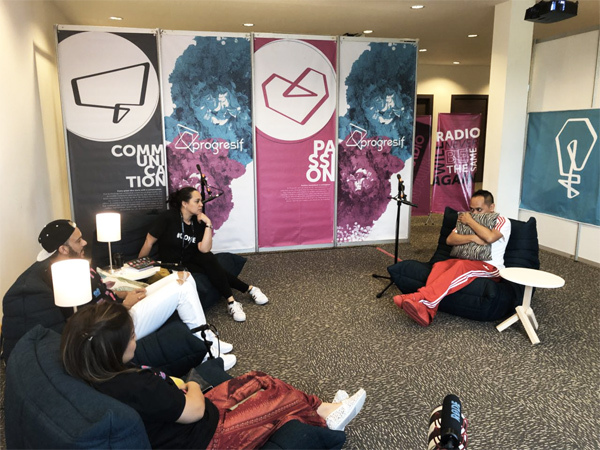 Now Progresif Radio is expanding their team due to increase demands for content and the radio internet app is gradually gaining traction from listeners from their Progresif Radio app. I, myself, am involved in sharing content on Progresif Radio for my movie section called “Popcorn Panel”, which reminds me to get back in the podcasting game after my last review was on Black Panther and the local hit Bodyman. Anyway, back to the audition, it attracted different walks of life and age is not big factor as Progresif Radio are looking for those with personalities and charisma. 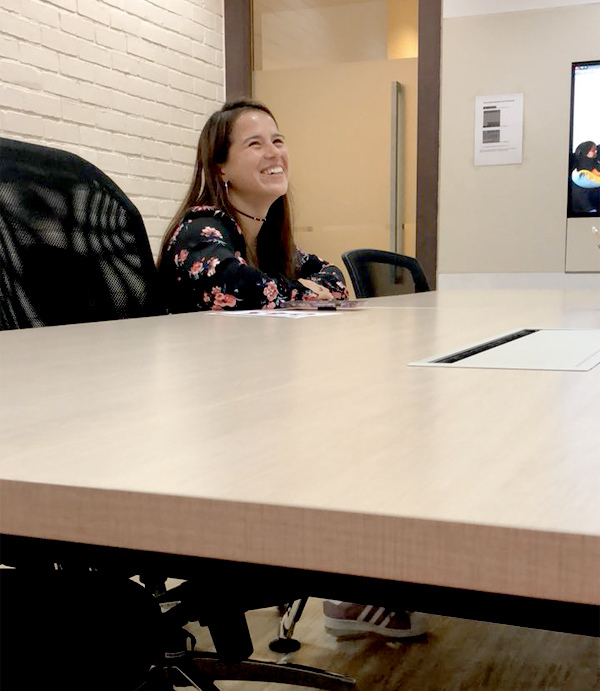 This time the audition was streamed live on Facebook and Instagram so the public are able to catch on how the auditions are being conducted and also support their friends/families during the audition. So far 44 made the cut into the second round and DJ Jenny, renowned DJ in Brunei, will be conduct another session for the shortlisted finalists before Progresif Radio make their final decisions. Let’s find out pretty soon who will be the new faces of Progresif Radio in the coming weeks. I am excited. Did he make it to the next round? I believe he did. The room that delivered the good or the bad news. But they delivered it with compassion and encouragement. 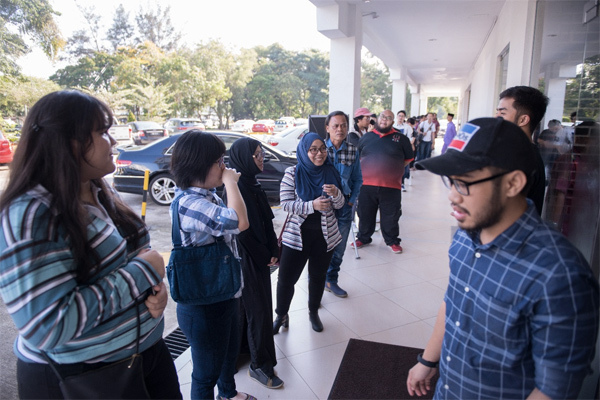 Adib Noor had his round with DJ Jenny in the second round. Will he get called for the third session? We shall wait & see. 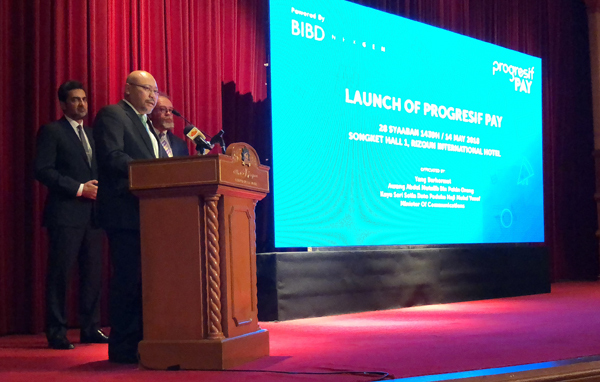 Progresif marked a new milestone in its ongoing network expansion plans with the launch of a new tower at the Telisai highway today, bringing enhanced coverage and connectivity into the area. The new tower is part of the company’s series of network expansion plans for Telisai which will see a total of three new sites going on-air in the area to improve coverage and to strengthen the overall experience for Progresif customers. Paul Taylor, CEO of Progresif, said that the new tower sets the stage for the company to continue delivering innovative products and services to customers that travel along the highway for work or leisure. “The new sites reflect our commitment to constant improvement and progress which are expressed through our core values of passion, communication and innovation,” he said. Tony Hanley, Chief Technology and Information Officer of Progresif, said that the number of sites has increased by 20 per cent with 40 new sites going live over the past year. “We’ve invested to enhance the capacity for our customers at over 120 existing sites. By making these continued investments, we can deliver a network that is readily able to keep up with the heavy demand for communications and data use,” he said. “We’ve also worked hard to increase our overall network capacity by 50 per cent and built sites in less well served areas, such as in Temburong. We’re planning to drive our network into the more rural areas of Brunei so that the population can have access to communication through the Progresif network,” he said. The launch of the Telisai highway tower was officiated by the Guest of Honor, Hj Azhar Hj Ahmad, Permanent Secretary at the Ministry of Communications and Chairman of AITI. Also present was Legislative Council Member YB Ramli Hj Lahit, Dr Nor Imtihan Hj Abdul Razak, in her capacity as the Acting Permanent Secretary (Administration and Finance) at the Ministry of Development, Board Member of Progresif Edzwan Zukri Pehin Orang Kaya Johan Pahlawan Dato Seri Setia Hj Adnan, , CEO of AITI Pg Hj Mohd Zain Pg Hj Abd Razak and senior officials from Progresif. Visit https://progresif.com/support/coverage-area/ to use the Progresif Coverage Map to learn more about our network footprint. 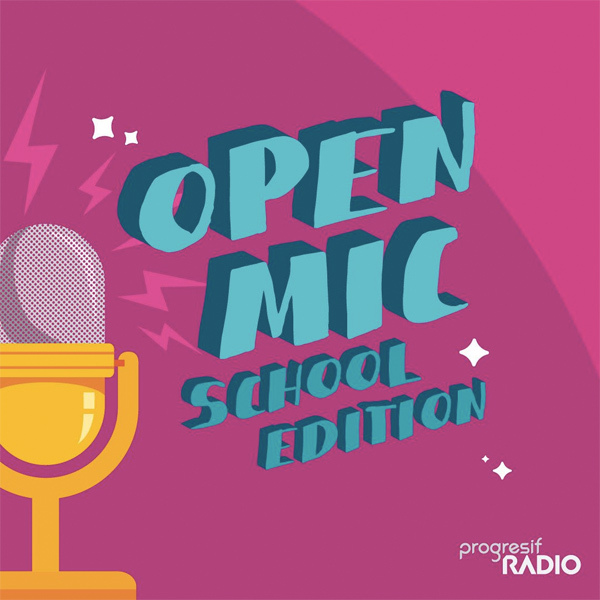 Progresif announced its Open Mic School Edition competition on Progresif Radio to help inspire creativity in all schools in Brunei as part of its ongoing support in education. The contest is open to students from all schools in Brunei from Year One to Year 13 from today until March 15. To participate, students can download the Progresif Radio app and use the Open Mic feature to record their song of choice. More that $10,000 in Cash and Prizes will be distributed to the top three schools with the most entries from its students, and to the top three most voted entries from individual students. School winners of the contest will be announced on April 4 while individual winners will be announced on April 23, on both radio and social media. The program was designed as a way to promote the youth focused programming that has been created in partnership with a handful of local schools and the larger opportunity that the Progresif Radio application can provide to schools to develop and share content. “Education is one of the core pillars of our social responsibility programme so we made sure that this was represented in the Progresif Radio app. Now, schools have a greater opportunity to develop their own content and distribute to their intended audience,” he said. 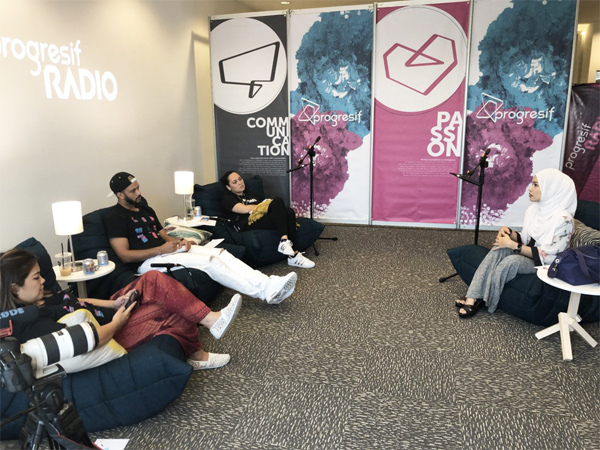 Schools can use the on-demand platform as a tool for their own educational radio programmes and as a platform to share educational content to listeners. 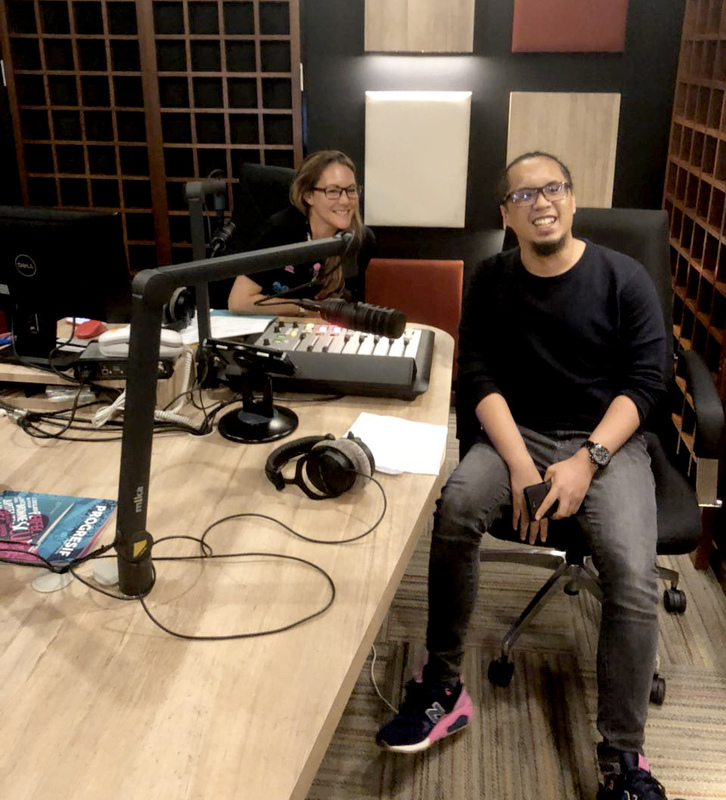 Since its release, the Progresif Radio app has brought fresh innovation into Brunei’s radio industry by combining the best of live streaming and on-demand content on a new mobile platform. Progresif Radio follows the global movements of internet radio and online streaming, an industry disruption which gives the listener full control of content. The Progresif Radio app is available for download on both iOS and Android platforms. 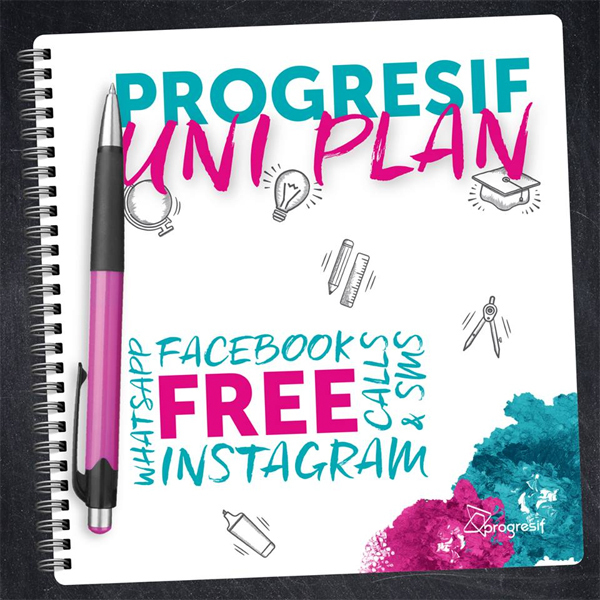 Follow @progresif_cellular on Instagram to stay updated on daily radio programmes. 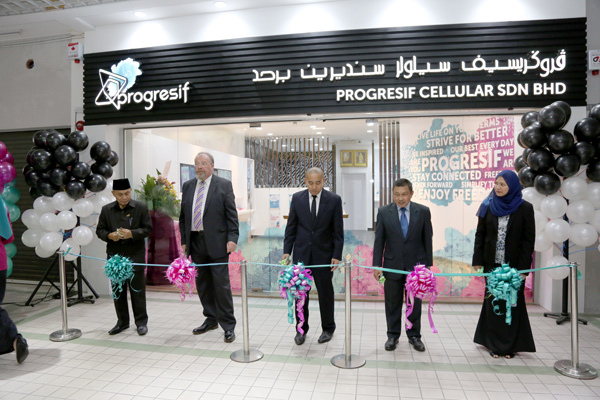 Progresif Cellular unveiled its newly renovated Tutong branch today, further reinforcing its retail network and capacity to serve a growing customers base in Brunei’s third largest district. The Tutong store, which is located at Petani Mall, has been renovated as a modern reflection of the Progresif brand. Renovation works for the store took a few months to be completed to ensure that the store’s overall design and look aligns with a progressive retail experience. 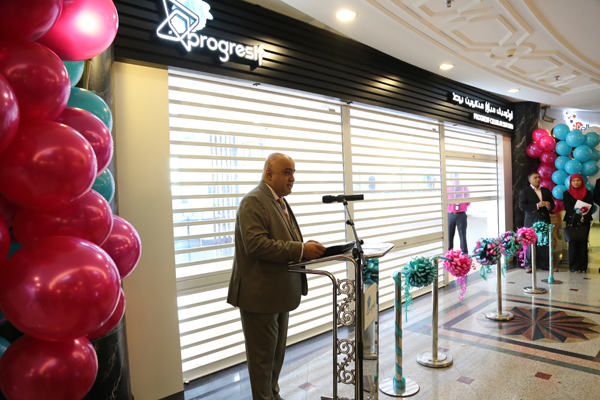 The store’s launch was officiated by the Guest of Honour Edzwan Zukri Pehin Dato Adanan, Board Member of Progresif. Also present during the event was Tutong District Officer Shamsul Bahrain Hussein, Legislative Council representative for Tutong YB Hj Abd Wahab Hj Apong and Ade Nurismah Azurine Hj Ismail in her capacity as Chairman of the Tutong Municipal Department. The event started with the recital of prayers followed by welcoming remarks by Paul Taylor, the new Chief Executive Officer of Progresif. The guests were also treated to a brief tour of the new Progresif branch which was facilitated by Bob Gill. 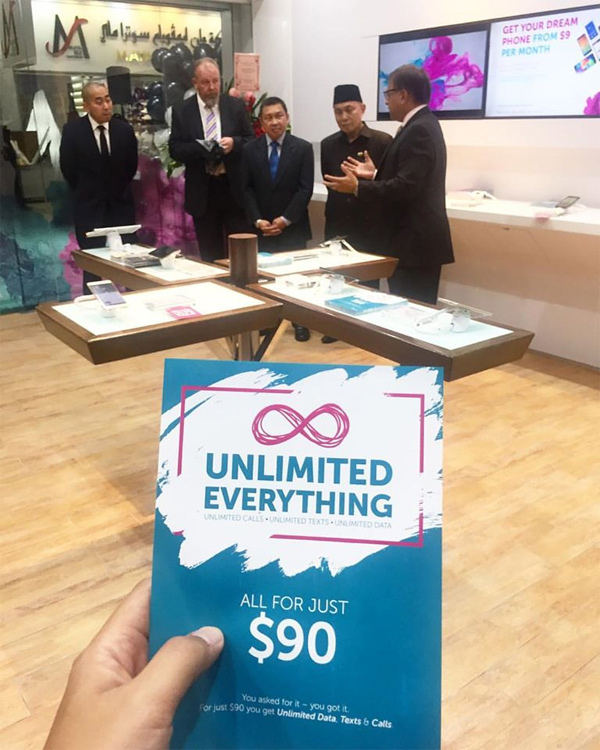 Have you registered for the unlimited plan? Augmented reality is here….. Woohooo.. I’ve came across this at IT events a few years ago and I was kinda interested with this idea. Basically it turns one dimensional page alive 😀 All you need is an app and of course, the paper or brochure has to be programmed to create the 3D effect. This morning I had the privilege to have a coffee talk with Progresif and Itsybytes, an IT company at Starbucks Coffee at Beribi. Present were Roger Plahay, Progresif’s Chief Financial Officer, Devin Edwards, Progresif’s Chief Marketing Officer and the founder and representatives of Itsybytes. Progressive partnered with Itsybytes to create an interactive feel to Progresif’s brochure which is published quarterly. 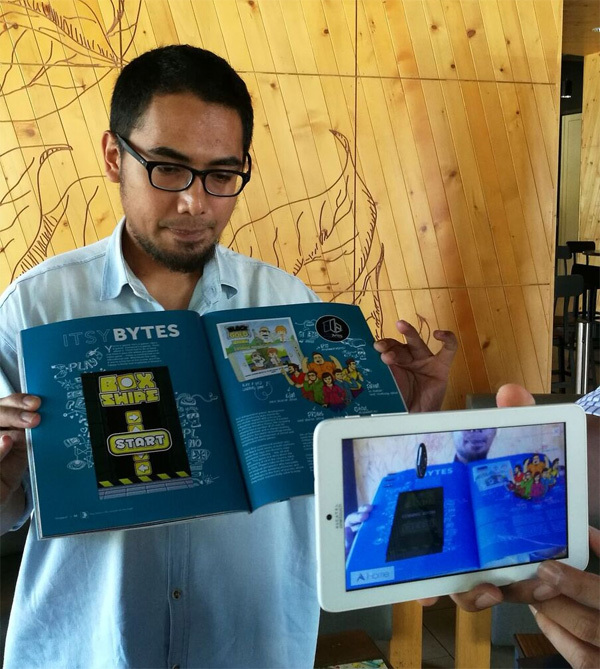 So in the edition of Oct to December, some of the pages in Progresif’s brochure has elements of augmented reality which gives the readers a different experience on the knowledge while reading the brochure. 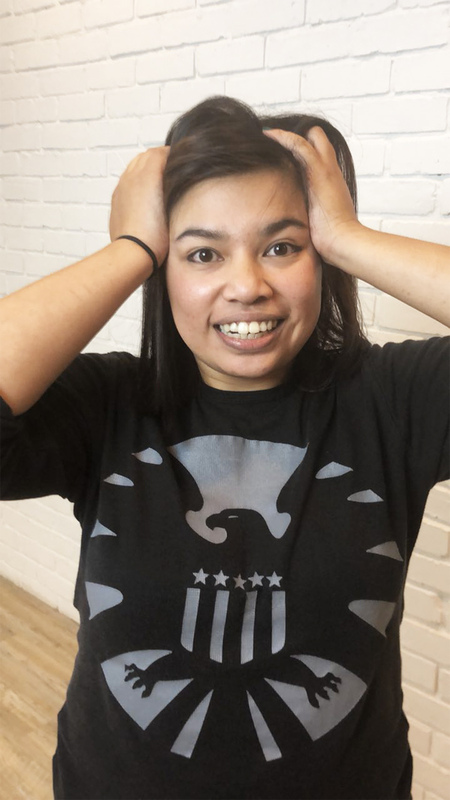 Devin believes that this will spur more creativity in Brunei alone and this will also helped SMEs to venture out with newer, creative ideas to get their message across to the community, using different kinds of reach. 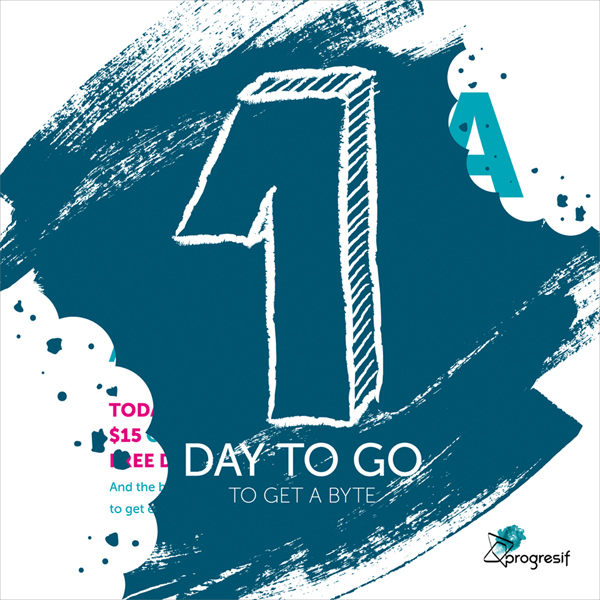 Progresif has been working closely with Itsybytes for a year and finally both of them have synergise their strengths to make it more impactful and meaningful for readers and also potential clients in the future. Do check out the latest Progresif brochure and tell me what you think. 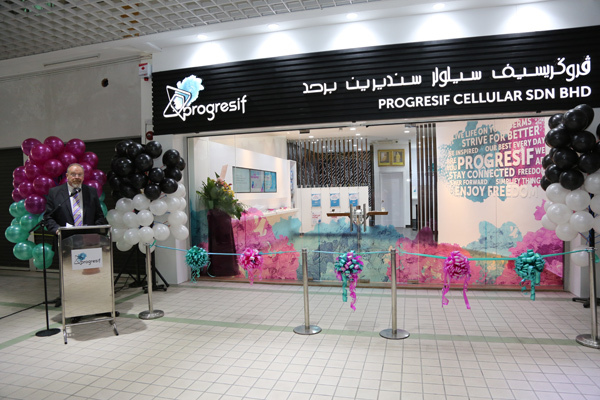 This morning, Progresif relaunched its flagship store at The Mall. It’s one of the store that hasn’t been revamped for a long time. The only one that didn’t change from the store are the windows and the shutter (in front). It was a complete revamped and now it has the Progresif feel and brand to it, complimenting to the other Progresif stores in Brunei Darussalam. 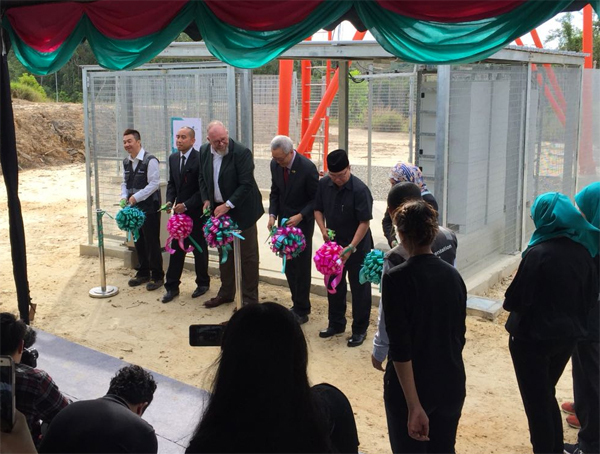 Present during the launch was Yang Mulia Edzwan Zukri bin Pehin Orang Kaya Johan Palawan Dato Seri Setia Hj Adnan, one of the board of directors of Progresif. 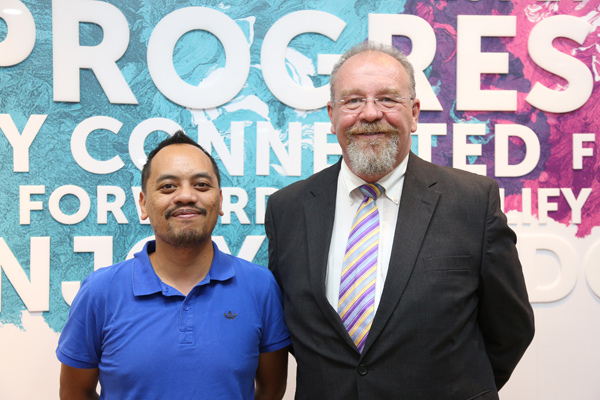 Roger Plahay, Progresif’s acting CEO had a short welcoming remarks in conjunction with the launch. He shared how the management made a commitment to their stakeholders, their staff and communities that they serve to usher in a new era of innovation for the ICT and telecommunications sectors in Brunei and they promised to support His Majesty the Sultan’s Vision of 2035. 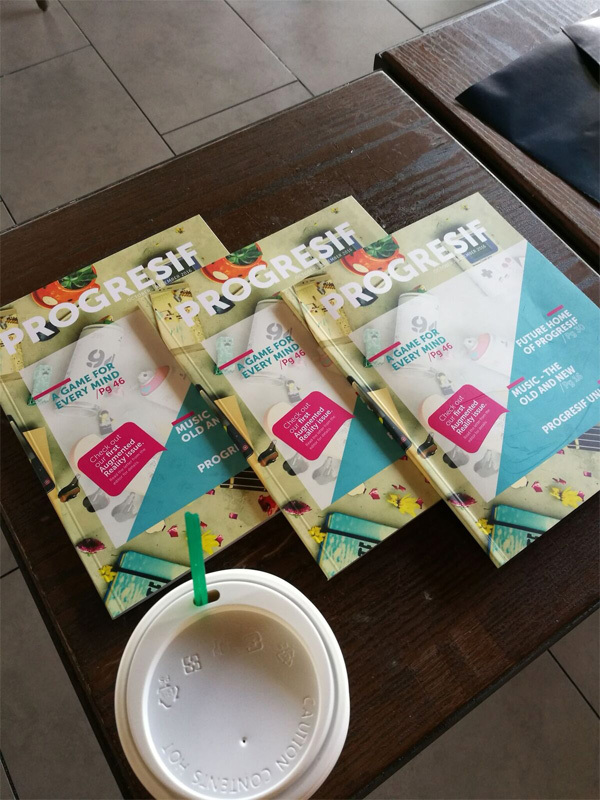 When Progresif launch their brand, they asked one simple question “Are you Progresf. In just a span of 2 years, they have completely rebuilt the network and now they are expanding and rumours has it that the 4G is just around the corner. Currently they have grown from 20,000 to 150,000 subscribers and their staff count is up to 265. Pretty soon you will notice a new headquarters for Progresif with better facilities. The new location reflects their brand and corporate culture. Another exciting things are such as the establishment of the their own Start-Up Lab where they will be incubating small businesses and working with partners such as UBD, iCentre and DARe.